Incident Location: 614 N. Prospect St. Narrative: At 8:50 a.m. 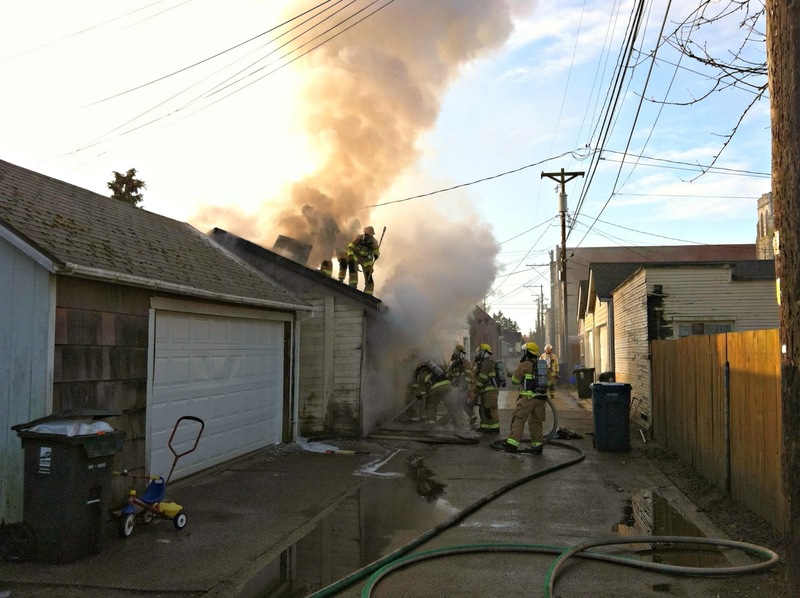 Firefighters from stations 1, 2, 3, 4, 13 and 17 responded to a reported garage fire. The first arriving company found smoke showing from a detached garage in the alley. Crews attacked the fire with handlines, vertically ventilated the structure and conducted a search to confirm no one was inside.